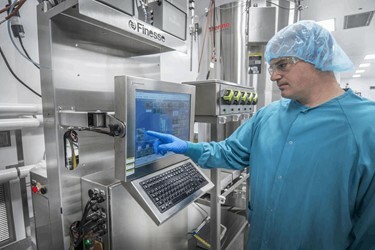 Biologics have revolutionized modern medicine, but they are complex molecules that require care in manufacturing and scale-up as they move through development and regulatory processes and onto the market. Their development is also costly, so to be competitive, manufacturing must be efficient and cost-effective. Many biologics companies, rather than developing and manufacturing their products internally, will partner with a contract development and manufacturing organization that can provide the required expertise and resources as well as flexibility of operations. WuXi Biologics, a Hong Kong-listed and WuXi AppTec affiliate company, was founded in 2010 and is based in the southern Jiangsu province in China. The company is the only open-access biologics technology platform in the world offering end-to-end solutions to empower organizations to discover, develop, and manufacture biologics from concept to commercial manufacturing. These include monoclonal antibodies, bispecific antibodies, fusion proteins, antibody-drug conjugates, and recombinant proteins. To provide the best services and greatest flexibility for clients, WuXi Biologics continues to expand its manufacturing capabilities, adding two 1,000-liter perfusion production lines as well as fourteen 2,000-liter traditional fed-batch production lines using single-use bioreactors. This makes it the largest perfusion biologics manufacturing facility in Asia and the world’s largest biologics manufacturing facility using single-use bioreactors. The company is also establishing a new facility in Shanghai, which will have its own perfusion production lines and be ready for operation in 2018.